Between attending the “Nasty Women and Bad Hombres” and “Fueling the Resistance” hospitality suites, the 3,300 delegates pulling their bumper-sticker decorated Priuses into Sacramento this weekend for the California Democratic Party convention will be in engaged in a sharply contested battle over the future of the party on multiple fronts that could have widespread implications for the 2018 statewide elections, and perhaps even national efforts to win back the House and Senate. The much-loved and much-cursing CDP Chairman John Burton and his top-flight operations team have been adept at striking a balance between party pragmatists and purists. The proof of their success is in their electoral legacy: Democrats have topped the eight million mark in registered voters, swept the state’s top offices, hold a super-majority in the Legislature, and are organizationally and financially strong – a stark contrast to the national Democratic Party, whose new chairman Tom Perez, will address the California jamboree on Saturday. 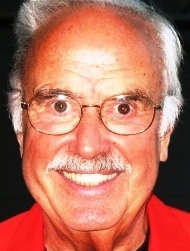 Aszterbaum is not atypical of many of the delegates. Small wonder then that the state’s most popular elected officials, Sen. Dianne Feinstein and Gov. Jerry Brown (who is attending a family reunion we’re told), decided to skip the convention. Yet despite their absence, there will be plenty of theater. 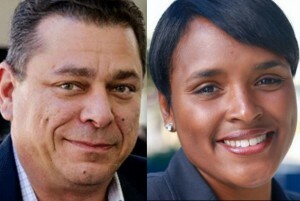 Election for Chief Cat Herder –Long-time CDP Vice-Chair and LA Democratic Party Chair Eric Bauman is in a battle with upstart Kimberly Ellis in a race that will control the party’s apparatus. That’s a bigger deal than it might seem; campaign finance laws have made political parties the major drivers of coordinated campaigns, legislative races, and even initiative campaigns. Bauman has the support of nearly every elected leader and legislator, key unions, and has spent the last four years visiting Democratic clubs in the remote corners of the state. Ellis, despite her firm backing of Hillary Clinton for president, has gained traction from some Sanders supporters. The vote is expected to be close. And remember: this isn’t a secret ballot. Anything can happen. 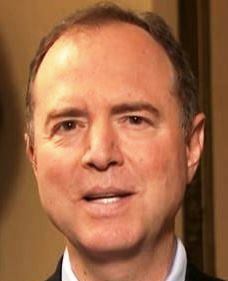 The Man of the Moment – The Sacramento Bee described Congressman Adam Schiff as perhaps “Trump’s biggest nemesis.” Watch to see how much (Note: if any) red meat the understated Schiff, who typically avoids partisan bashing, throws to party activists at the Saturday night dinner. Musical Chairs – Will Senate President Pro Tem Kevin DeLeon run for Governor? Will Insurance Commissioner Dave Jones throw in the towel in his race for AG and switch to a more winnable LG race? Will Tom Steyer donate time and energy into being a candidate instead of pouring millions into voter registration and initiatives? Look for this convention to answer some of those questions. Gubernatorial Warm Up – The convention will be the first test of strength for Horseshoe wannabes. LG Newsom is the darling of the lefties who dominate the convention. But perhaps more interesting will be the performance of the other candidates. Will Treasurer John Chiang deliver a barn-burning speech? (Note: That would be truly astonishing.) Will Antonio Villaraigosa have a Sister Souljah moment by reveling in the results of Tuesday’s LA School Board elections and make a passionate pitch for charter schools and education reform? Will Delaine Eastin get more than a polite response? We shall see. The X Factor – Newly-appointed Attorney General Xavier Becerra, who has been leading the state’s legal charge against Trump, is a virtual unknown to most delegates. The rising star will need to make an impressive splash at the convention to deter a challenge from his expected challenger, tenacious Insurance Commissioner Dave Jones. New Kids on the Block – With Gov. Brown (79), Sen. Feinstein (83), and House Minority Leader Nancy Pelosi (77) in the dusk of their political service, the convention is the place for new stars to shine. My money is on Sen. Kamala Harris to rock the house, hoping to fuel speculation that she should be taken seriously for a White House bid in 2020. (Insert Calbuzz eye roll here) Also, pay attention to the speeches and organizational strength of a few others who want to climb the electoral ladder, including Controller Betty Yee, Secretary of State Alex Padilla, and BOE Member Fiona Ma. Calbuzz, pulled away by family commitments, will not be covering the convention or even hosting our infamous Hackenflack Dinner. Thanks for this advance from our old friend Steve Maviglio, a Democratic consultant and former press secretary for Gov. Gray Davis.